Will Battlefield 3's DLC Keep Players from Leaving for MW3? EA Vice President Patrick Soderlund believes the upcoming downloadable content for Battlefield 3 will keep players from leaving their military scene and heading for the shores of Activision's Call of Duty: Modern Warfare 3. Soderlund admits that his team recognizes the threat Call of Duty brings to the market, but that they're working their hardest to keep players gaming with Battlefield 3. Here's a bit of what Soderlund offered up regarding their game as a product in today's marketplace. He was speaking with IGN. "The holiday season is clearly very competitive, as we know…We all respect what Call of Duty brings and what they're going to come with, and I think that we have an industry-leading multiplayer game that will make people want to stay with us, frankly. If you look at all the reviews that we've gotten, not a single one that I've seen has been negative towards the multiplayer. In fact, many state that the multiplayer is the multiplayer experience to have, the best in the world. And if I can continue to harness that and work on improving that and give the consumers more of that, then hopefully they're going to feel loyal to us and stay." Soderlund, EA and DICE have all seen a lot of warm critical reception in regards to the multiplayer component of Battlefield 3. As he indicates in the quote above, a lot of review outlets are citing the MP as some of the best the industry has ever seen. Quite honestly, my experience lends me to agree with some of that sentiment. 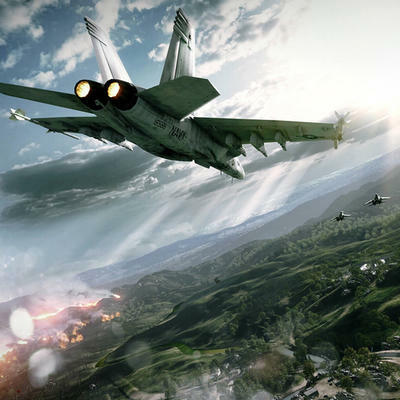 Battlefield 3 enjoyed record setting sales for EA during its first week at retail. The game sold more than 5 million copies worldwide, making it the fastest selling software EA has ever published. Soderlund spoke about that success and how it impacted gameplay. "The fact that we're seeing a lot of new Battlefield players come into the franchise means a lot to me…That's been something that I've been trying to push on for a long time, that we wanted to go wider, become a broader, established IP, and it seems like that's really working for us, so that's cool. Given the unprecedented user volume that we've seen, we have obviously had some hiccups during the week, and we've been working very actively on solving those, and most of the issues are behind us. The game is performing a lot better. Most people had a very smooth weekend, and we continue to improve the service as we go, basically." If you purchased Battlefield 3, do you expect Modern Warfare 3's multiplayer to pull you away from DICE's latest shooter? Order Battlefield 3 or Modern Warfare 3 on Amazon.